First UK poster and second trailer for Soderbergh's return to the big screen. 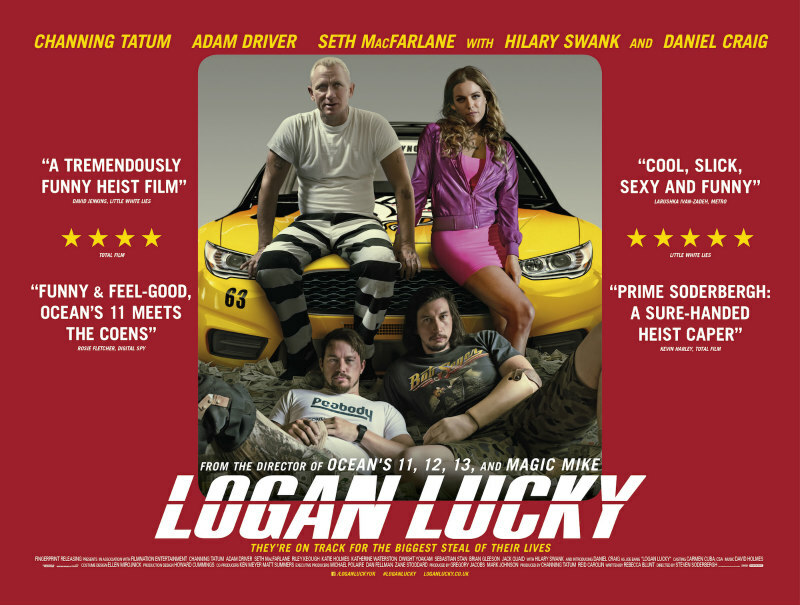 Following cinema's shortest ever retirement, Steven Soderbergh returns to the big screen with the comic heist caper Logan Lucky, which follows the attempts of a notoriously unlucky family to steal the profits of a racetrack. Soderbergh has explored this territory before with his rebooted Ocean's series, but we're getting more of a Coen Bros vibe from this one. You can catch it in UK/ROI cinemas August 25th.